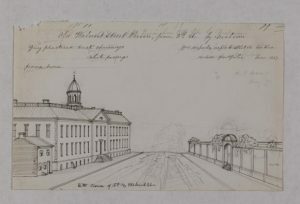 The Pennsylvania Society for Alleviating the Miseries of Public Prisons was founded in response to the appalling conditions prisoners endured at the Walnut Street Prison. Walnut Street Prison was built in 1773 to house prisoners from the overcrowded High Street Prison. As with its predecessor, prisoners were held in large communal rooms instead of individual cells. Conditions were dangerous for the inmates, who had to suffer through poor sanitation and frequent outbreaks of violence. There were no attempts at rehabilitation. In 1790, at the insistence of the Prison Society, a new penitentiary house was added, the first of its kind. Here, individual inmates were held in small cells and prevented from communicating with each other. 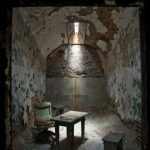 The society believed that this solitary confinement would provide prisoners with time for reflection and repentance, as well as protect first-time criminals from being corrupted by repeat offenders. 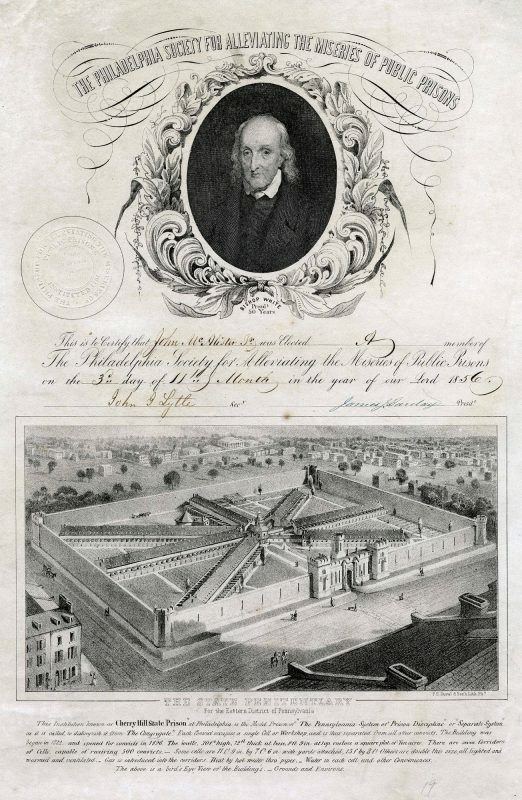 Walnut Street Prison became a model for prisons across the United States and Europe. Merchant turned political economist Tench Coxe gained a dubious reputation for frequently switching political parties, a habit that earned him the sobriquet “Mr. Facing Both-ways” among his political rivals. He was a Tory before the Revolution and tried to remain loyal once the war began. He left Philadelphia as the war started, only returning once the British occupied the city. His business success during the occupation raised some question about his loyalty and he was arrested on suspicion, but never convicted. He eventually joined the Patriot cause and the Pennsylvania Militia records list him as serving during the final years of the war. 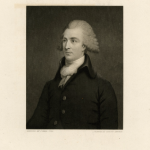 In 1788, he was a delegate to the Continental Congress. He joined the Federalist party and was assistant to Alexander Hamilton during his tenure as secretary of reasury. Removed from power by John Adams, Coxe became a Democratic-Republican and later earned an appointment as purveyor of public supplies to Thomas Jefferson during his presidency. Nonetheless, the Democratic-Republican affiliated Philadelphia Aurora accused him of Federalist leanings for his support of tariffs. 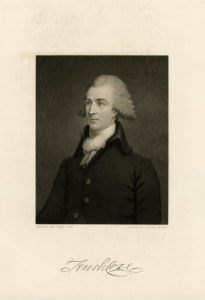 Whatever his political affiliation, Coxe became interested in public reform shortly after the Revolution ended and was one of the founding members of the Pennsylvania Society for Alleviating the Miseries of Public Prisons. He was present at its first meeting in May 1787. Eastern State Penitentiary was a model of prison reform when it opened, and the Pennsylvania Prison Society advertised its originality. This membership certificate from 1855 features Eastern State prominently and describes the innovative Pennsylvania System of Prison Discipline, a strict solitary confinement system advocated by the Prison Society. Above the prison image is a portrait Bishop William White. White was a native Philadelphian who earned a doctorate in divinity from the University of Pennsylvania. During the Revolution, he tried to prevent the American and British Anglican churches from splitting. The American branch reorganized as the Episcopal Church during the war but retained close dies to the Church of England. White was one of the first bishops consecrated in America after Parliament relaxed the laws mandating that all clergy be ordained in England. In 1787, White was elected as the first president of the Prison Society, a position he held for forty-nine years until his death in 1836. As Philadelphia’s inmate population outgrew Walnut Street Prison, the Pennsylvania Prison Society called for building a much larger state institution that would allow for the separation of all prisoners. This came in the wake of a deadly 1820 riot in the communal jail block that remained in use at Walnut Street Prison. In 1829, the first inmates were moved from Walnut Street to the new Eastern State Penitentiary in the city’s Fairmount neighborhood. Eastern was known for its groundbreaking wagon-wheel floor plan, with seven one- or two-story cellblocks radiating from a central hub. 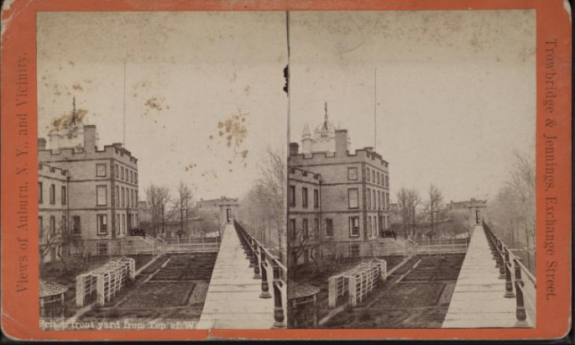 This served two purposes: it aided with ventilation to help circumvent the sanitation and health issues that plagued Walnut Street Prison, and it allowed guards to monitor inmates more efficiently—a guard at a desk in the hub could pivot and look the length of each long cell block. In the twentieth century, the prison housed some of America’s most notorious criminals including bank robber and escape artist Willie Sutton and gangster Al Capone. While the institution was state-run, the Pennsylvania Prison Society had a number of its members appointed to positions of power in its earliest days. Though touted as a humane alternative to crowded and dangerous prisons and capital punishment, the Pennsylvania System was not without flaws. Just four years after Eastern State Penitentiary opened, a controversial punishment led to the death of prisoner Mathias Maccumsey. Like all inmates at Eastern, Maccumsey was expected to spend his sentence in silent and solitary reflection. He repeatedly was caught talking to fellow inmates and so Warden Samuel Ward ordered him to be restrained with an iron gag. The device rested on the prisoner’s tongue and was chained to the jaw making speech impossible. In 1833, two years into his twelve-year sentence for murder, Maccumsey was found unresponsive in his cell with the gag still in place. 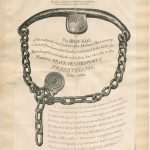 His death led to a public outcry for the gag to be banned, as seen in the 1835 handbill decrying its use. Though the Pennsylvania Prison Society was nondenominational from the start, many of its early members were members of the Religious Society of Friends, better known as the Quakers. 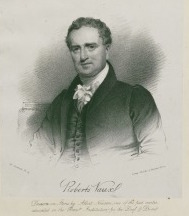 Roberts Vaux was one of these men, born to a prominent Quaker family. Vaux trained as a lawyer and became a judge in the court of common pleas. He is remembered today, however, for his affiliation with a number of service organizations and public service campaigns. As a Quaker, he believed all children were entitled to an education, regardless of social class or disabilities. In 1820, he helped found the Pennsylvania Institute for the Deaf and Dumb, and the Overbrook School for the Blind in 1834. He was one of the founders of the city’s public school system, forming the Pennsylvania Society for the Promotion of Public Schools in 1827. That organization helped open free schools available to all children living in the city. He served as the president of the Board of Controllers for the Philadelphia public school system for a number of years. Vaux was also keenly interested in prison reform. He joined the Pennsylvania Prison Society and for twenty-one years served as its secretary. He was one of the early proponents of the “Separate System” first implemented at Walnut Street Prison’s penitentiary house. Vaux sat on the board responsible for promoting the construction of Eastern State Penitentiary. When that institution opened in 1829, he was appointed one of the eleven commissioners by the state of Pennsylvania. A year before, Vaux founded the House of Refuge, the state’s first institution for reforming juvenile offenders without imprisoning them with adults. Combining these two interests, Vaux printed and distributed pamphlets to schools explaining Pennsylvania Laws and citizens’ rights in terms younger readers could understand. He died in 1836. 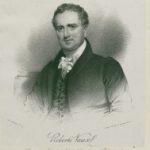 His son, Richard Vaux, carried on his legacy by writing a series of articles about prison reform and the penitentiary system. 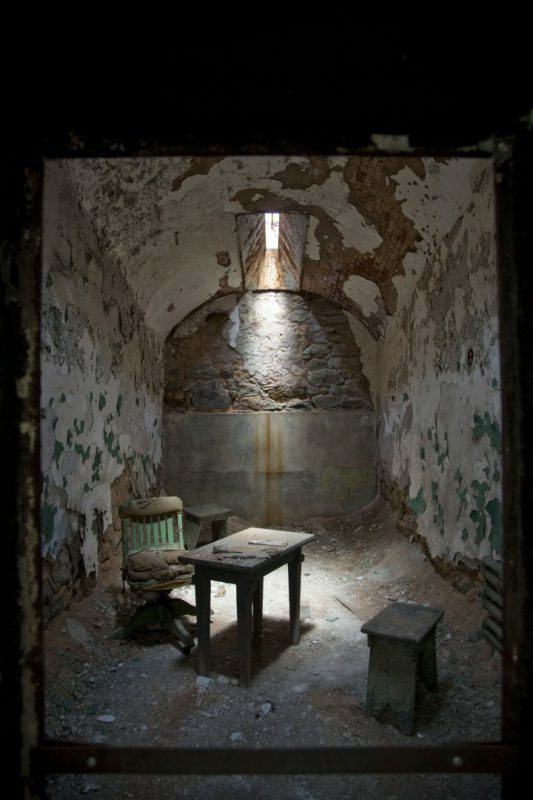 The Pennsylvania Prison Society advocated a system of silent solitary repentance by inmates. 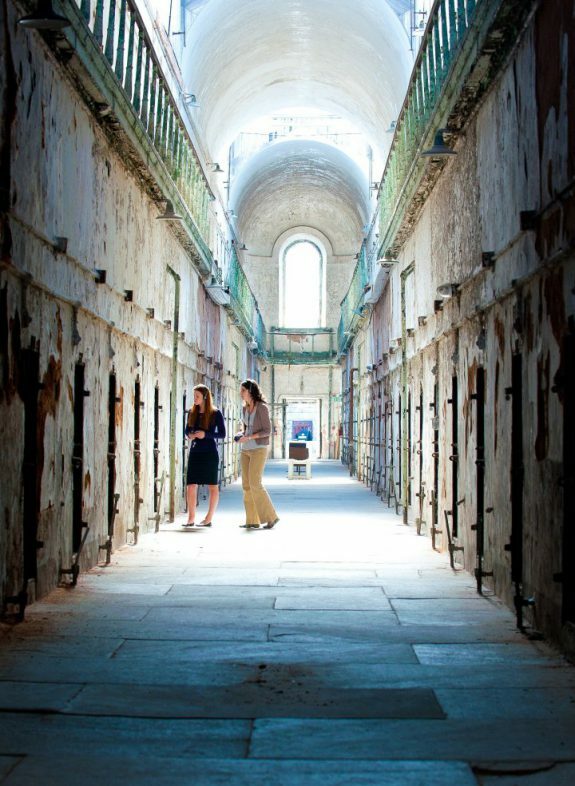 When put in practice at Eastern State Penitentiary in 1829, this system became known as the Pennsylvania System. In the same era a competing system was developing at Auburn Prison in New York. Like the Pennsylvania System, the Auburn System required prisoners to remain totally silent. But unlike at Eastern, prisoners in Auburn only remained in solitary confinement at night. They took their meals, performed hard labor, and prayed in groups. The Auburn system proved to be far more cost-effective than the Pennsylvania system. Not only was it easier to feed prisoners en masse, but laboring in groups increased productivity of prison-manufactured goods that offset the cost of housing and feeding inmates. The year that Eastern opened, Auburn began to operate at a budget surplus. The Pennsylvania System spread to Europe, Asia, and Latin America, but was supplanted in the United States by the Auburn System. 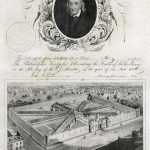 Founded in 1787 as the Philadelphia Society for Alleviating the Miseries of Public Prisons, the Pennsylvania Prison Society quickly became a leading advocate for the humane and salutary treatment of the incarcerated. 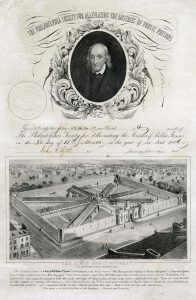 From the restructuring of the Walnut Street Jail in the eighteenth century, to the construction and oversight of the Eastern State Penitentiary in the nineteenth, and its ongoing work as a social casework agency, the society’s efforts shaped correctional practices in Pennsylvania and beyond. Although it soon gained international renown, the Pennsylvania Prison Society began humbly. As was typical in eighteenth-century Philadelphia, many of the group’s founders, including Caleb Lownes (1754–1828), Christopher Marshall (1709–97), Isaac Parrish (1734–1826), and Thomas Wistar (1765–1851), were prominent members of the Religious Society of Friends (the Quakers). From the outset, however, the Prison Society was decidedly nondenominational. William White (1748–1836), a bishop in the Episcopal Church, served as the organization’s first president, a position he held for forty-nine years until his death in 1836. Many of the society’s charter members were men of both local and national (and even international) repute. Physician and Declaration of Independence signer Benjamin Rush (1746–1813), politician Tench Coxe (1755–1824), and publisher Zachariah Poulson (1761–1844) all attended the society’s first meeting on May 8, 1787. Spurred by reports of deplorable conditions in Philadelphia’s Walnut Street Jail, the society appointed an acting committee of six to ascertain the conditions of confinement and its effect on inmates’ moral and physical wellbeing. Prison Society visitors found a chaotic institution where inmates of all types, ages, and sexes mixed indiscriminately in an environment rife with obscenity, idleness, and vice. Realizing that the direct relief offered to prisoners in the form of bibles, clothing, medical care, and cash would not address these broader problems, the society also turned its efforts toward legislative change. Proposed reforms included abolishing the use of iron shackles and establishing a set salary for the jailer to avoid corruption. Most significantly, the Prison Society supported the solitary confinement of all prisoners. Influenced by the writings of the British prison reformer John Howard (1726–90), the proposed “separate system” would prevent hardened criminals from corrupting first-time offenders and would provide all inmates with the space needed for serious reflection and reform. 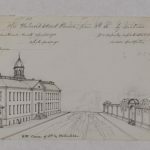 Following legislative approval in 1790 for the separation of prisoners by age, gender, and crime committed, the Walnut Street Jail and the Pennsylvania Prison Society became models for prison reform efforts throughout the United States and in Europe. Even as the Walnut Street Jail earned accolades from visitors, the Pennsylvania Prison Society was far from satisfied on the state of correctional practices. 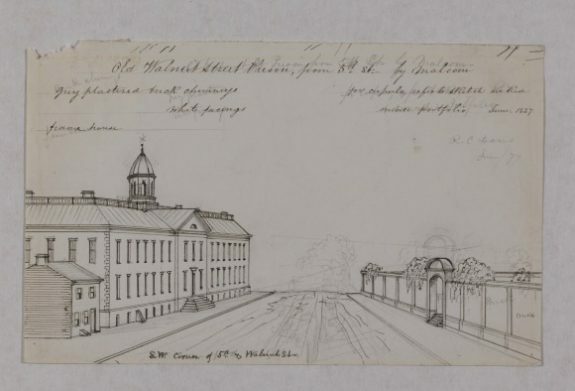 After a deadly riot at Walnut Street in 1820, Prison Society members escalated calls for a larger state institution purpose-built for the separation of all prisoners. 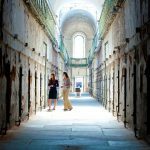 In 1829, the first group of prisoners moved into individual cells at the new Eastern State Penitentiary. Though technically a state-run institution, the Prison Society served as sole outside overseer of the facility and active society members Roberts Vaux (1786–1836), Thomas Bradford (1781–1857), and John Bacon (1779-1859) filled three of the eleven state-appointed commissioner positions, while Samuel R. Wood (1776-?) served as the first warden of Eastern State. Much of the society’s activity in the nineteenth century centered on the oversight of Eastern State and defense of the separate system, which became known as the “Pennsylvania System.” In 1845, largely in response to growing criticism from opponents of such extreme solitary confinement, the society established Journal of Prison Discipline and Philanthropy (later renamed The Prison Journal) to improve public outreach. 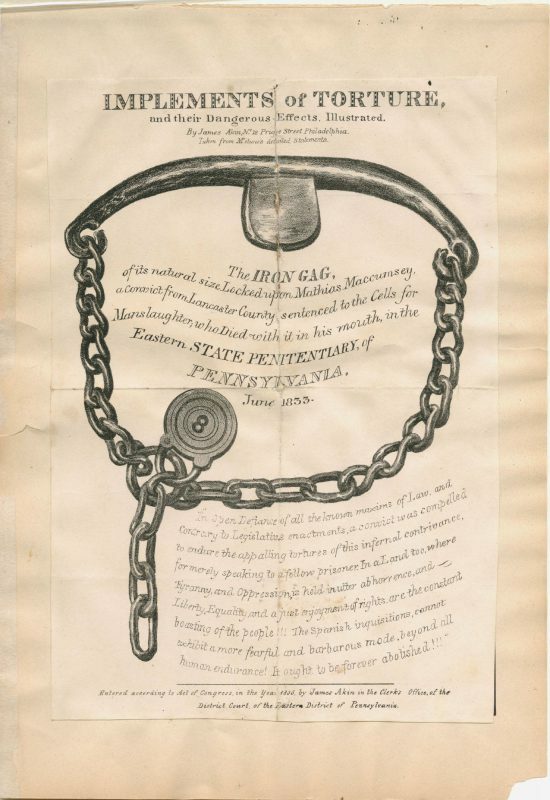 Early editions extolled the successes of the Pennsylvania System alongside reports of the achievements and deficiencies of penal practices elsewhere in the United States and abroad. Although the Pennsylvania System spread to Europe, Asia, and Latin America, the practice quickly fell out of favor in the United States. In part due to ongoing questions about the morality of solitary confinement, the scheme was ultimately abandoned because of the untenable costs of providing separate living, working, eating, and exercise quarters for every inmate. In response to these changes, the Pennsylvania Prison Society shifted its attention in the early twentieth century to other pressing issues, including parole and probation standards and the use of prison labor. Over the course of the twentieth century, the society’s activities were increasingly professionalized, with paid staff working with prisoners and their families to ensure legal and just treatment within the correctional system. Nevertheless, the Prison Society’s commitment to the humane and just treatment of prisoners remained at the core of its mission as the group continued to serve as an important advocate for the incarcerated and a leading voice in penal reform. Meranze, Michael. Laboratories of Virtue: Punishment, Revolution, and Authority in Philadelphia, 1760–1835. Chapel Hill, N.C.: University of North Carolina Press, 1996. Pillsbury, Samuel H. “Understanding Penal Reform: The Dynamic of Change,” Journal of Criminal Law and Criminology, 80 (1989), 726–80. Roberts, Leonard H. “The Historic Roots of American Prison Reform: A Story of Progress and Failure.” Journal of Correctional Education, 36 (1985): 106–9. Rothman, David J. 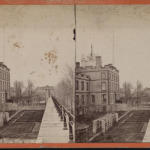 The Discovery of the Asylum: Order and Disorder in the New Republic. Boston: Little, Brown and Company, 1971. Sheehan, Glenn W., “Eastern State Penitentiary: A Study in ‘Progressive’ Penology,” Archaeology, 45 (1992): 44–47. Teeters, Negley K. “The Pennsylvania Prison Society: A Century and a Half of Penal Reform,” Journal of Criminal Law and Criminology, 28 (1938), 374–79. ——. They Were in Prison: A History of the Pennsylvania Prison Society, 1787­–1937. Philadelphia: John C. Winston Company, 1937. Wiebe, Robert. The Search for Order, 1877­–1920. New York: Hill and Wang, 1966. Pennsylvania Prison Society Records (1787–1966), Historical Society of Pennsylvania, 1300 Locust Street, Philadelphia. Walnut Street Prison Historical Marker, Southeast Corner of Sixth and Market Streets, Philadelphia.